The fire killed 36 people. 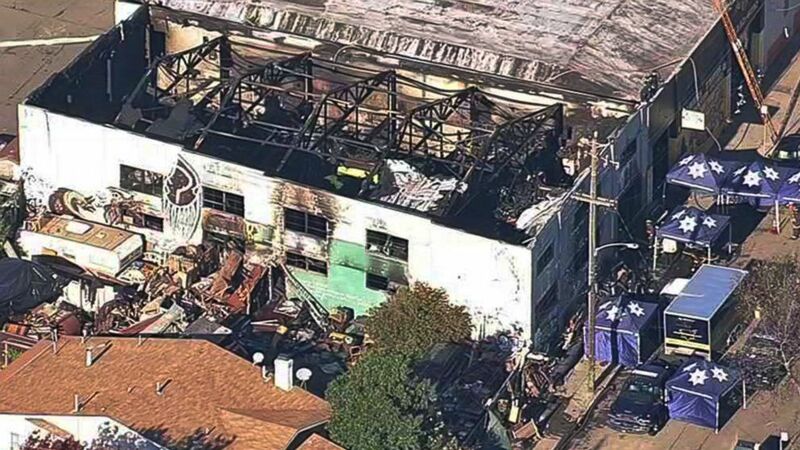 There was no record of fire department inspections at the Oakland, Calif., warehouse where a deadly blaze claimed 36 lives, Oakland Fire Chief Teresa Deloach Reed said at a news conference today. Reed said that there was nothing to trigger an inspection -- active businesses, not vacant buildings, are inspected, and she said there was no indication that the warehouse was an active business. "We have no records of 1315 31st Ave. being inspected nor do we have any records of them applying for a special permit, a change of occupancy, any type of tenant improvement," or other request that "would trigger" the facility to be in the system, Reed said. Reed said there was an inspection at an auto-body shop next to the warehouse earlier this year. There was also no record of complaints to the fire department, Reed said. 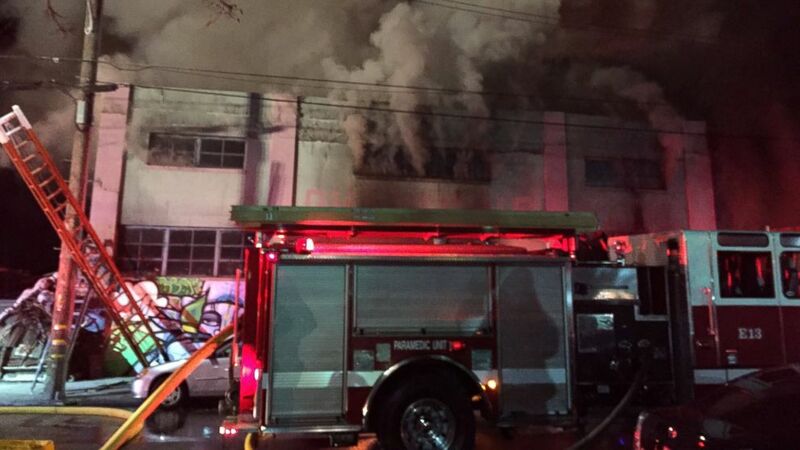 The cause of the warehouse fire is still unknown, 11 days after the blaze. The electrical system is part of the ongoing analysis, though no final determination has been made, Jill Snyder of the Bureau of Alcohol, Tobacco, Firearms and Explosives added at the news conference today. Reed called the Dec. 2 blaze a "tragic event" and said "our thoughts and prayers" are with the families. 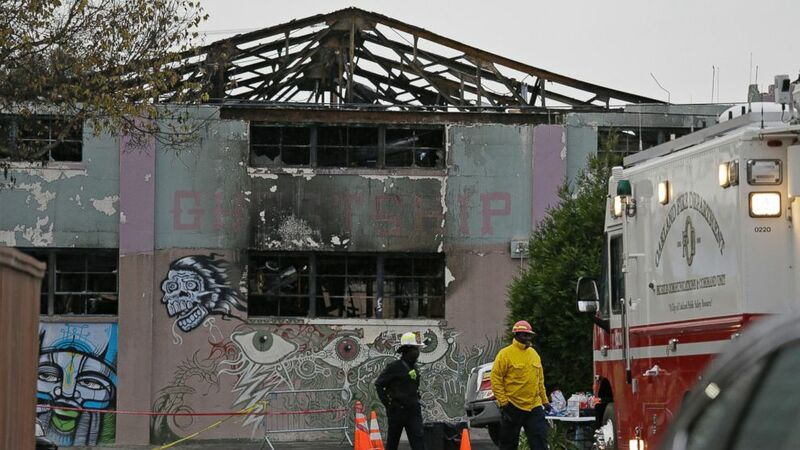 (Eric Risberg/AP Photo) A pair of Oakland fire officials walk past the remains of the Ghost Ship warehouse fire, Dec. 7, 2016, in Oakland, California. 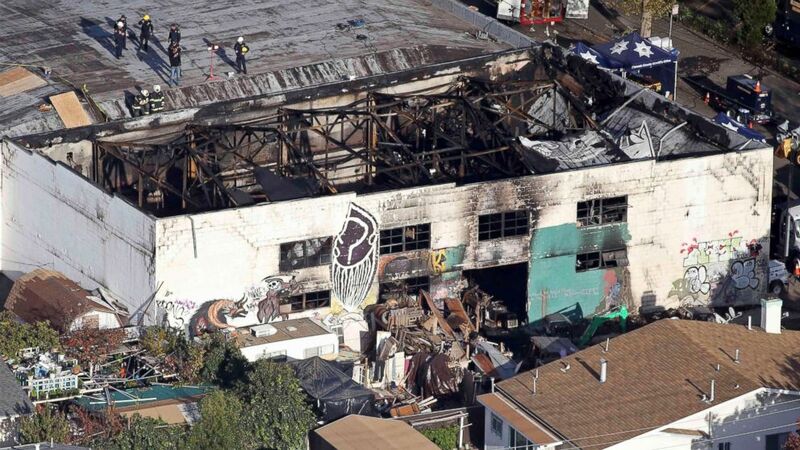 (KGO-TV via AP Photo) This image from video provided by KGO-TV shows the Ghost Ship Warehouse after a fire that started late Friday swept through the building, Dec. 3, 2016, in Oakland, California. The office of Alameda County District Attorney Nancy O'Malley is leading the criminal investigation. She said her office is working closely with Oakland Fire Department as investigators pore over the evidence. (Lucy Nicholson/Reuters) Recovery teams examine the charred remains of the two-story converted warehouse that caught fire killing dozens in Oakland, California, Dec. 4, 2016. (Seung Lee/Handout via Reuters) Smoke pours from a warehouse, which caught fire during a dance party in Oakland, California, Dec. 3, 2016. The warehouse fire is the most lethal building fire in the country in over a decade, according to The Associated Press. Some of those trapped upstairs at the party had just enough time to send final text messages to loved ones, according to Alameda County Sheriff's Office spokesman Sgt. Ray Kelly. Some of these messages read "I'm going to die" and "I love you," Kelly said.